Editor’s Note: With the 2018 season now in the books, it’s time to take a look back at some of our favorite moments from the year. Here are the five we look back on with the fondest memories. Penn FC found its first road win of the season on May 9 off a late goal from Miguel Jaime. After a back and forth battle that kept the match at a stalemate until the 87th minute, Kyle Venter found Jaime on the left wing just past the midfield line. Jaime traveled a few steps, recognized his space and then lofted the ball from over 30 yards out toward the goal. Goalkeeper, Angelo Cavalluzo reacted, diving and tipping the ball right off the crossbar, but it just wasn't enough. The ball bounced off the bar and into the net to give Penn FC the 1-0 advantage and advance their record to 2-3-4. Jaime’s strike was his first professional goal and earned him the Man of the Match award. Penn FC found its second victory against Toronto FC II just one month later late in the match again. In the 97th minute, a Toronto defender deflected a ball off their shoulder inside of the penalty area in attempt to defend the net, granting Penn FC a penalty kick. Jerry Ortiz delivered with no hesitation, converting on the walk off penalty kick opportunity. Rocketing a ball past the hands of the diving goalkeeper, Ortiz lead the Blue and White to a 3-2 victory in front a record crowd of 4,507 fans at FNB Field. In the last away match of the regular season, a standout performance from Aaron Dennis lead Penn FC to a 3-1 sweep against Bethlehem. After being down 1-0 early in the match, Dennis answered back in the 32nd minute. Miguel Jaime sent a ball to the foot of Dennis just outside the top of Bethlehems box. Dennis took advantage of his space, and fired the ball into the back of the net from 25 yards out, giving the goalkeeper no chance of a save. Just minutes later, Dennis found his stride again, working with Paulo Junior on a beautiful give and go play that Paulo converted for a goal, bringing the final score to 3-1. Penn FC earned one of the most crucial results off the 2018 season in a 3-3 draw against Louisville City FC on June 16. As Penn FC opened up the scoring just 14 seconds into the match, the fastest goal in the league this season, Louisville City answered back, dominating the remainder of the first half scoring three goals. Despite the deficit, Penn FC kept its offensive push in high gear and found their stride in the 63rd minute. Mkosana backheeled a ball into the net off a cross from Marco Franco for his second goal of the match to give the Blue and White hope. Prince Baffoe scored the equalizer and final goal of the match as he blew by defenders and sent a ball right between the legs of the Louisville City goalkeeper. This epic second half comeback against the defending USL Champions advanced Penn FC to a record of 4-4-6. 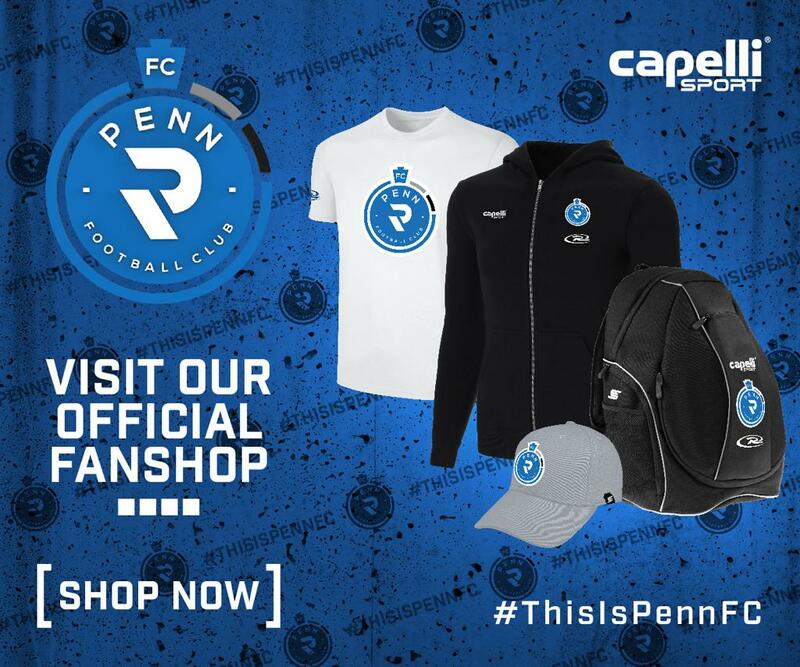 An 89th minute bicycle kick from Penn FC captain, Ken Tribbett earned the Blue and White a 1-1 draw against Charleston in the home opener April 21. After a solid defensive effort by Charleston, holding Penn FC scoreless until the last minute of the game, the Penn FC offense pressed forward on the field in hopes of finding a last-minute goal. A lofted cross from Mauro Eustaquio from the left side of the box was up for grabs as both teams rushed in. Tribbett flung his body backwards, making direct connection with the ball, bouncing it into the back of the net for the late equalizer. With only four minutes of stoppage time added, it wasnt enough for either team to find the go ahead goal, ending the match in a 1-1 draw. Lucky Mkosana, the 30 year old Zimbabwe native, tied the franchise record for career goals with 31. Chad Severs also scored 31, all with the Harrisburg City Islanders. Mkosana led the team this season with 11 and that was tied for ninth place in goals scored for the Eastern Conference. The forward showed standout performances in multiple matches of the 2018 season; scoring two goals in both the Louisville City FC comeback match and the Tampa Bay Rowdies win. In the following match, he continued his hot streak, capitalizing once and putting him at five goals in the span of three games in June. Scoring again in the following two games Mkosana advanced to seven goals throughout the course of five games in less than a months’ time. He was recognized for his efforts this season by earning his first international call up to the Zimbabwean National team in September.